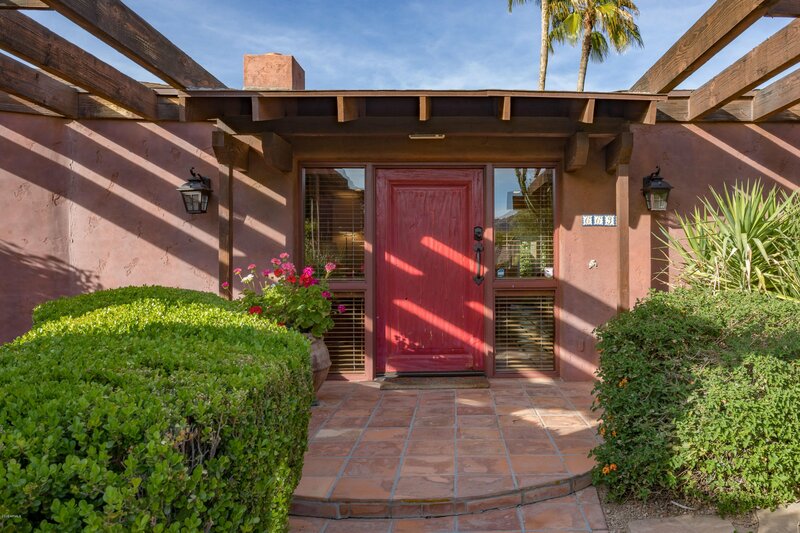 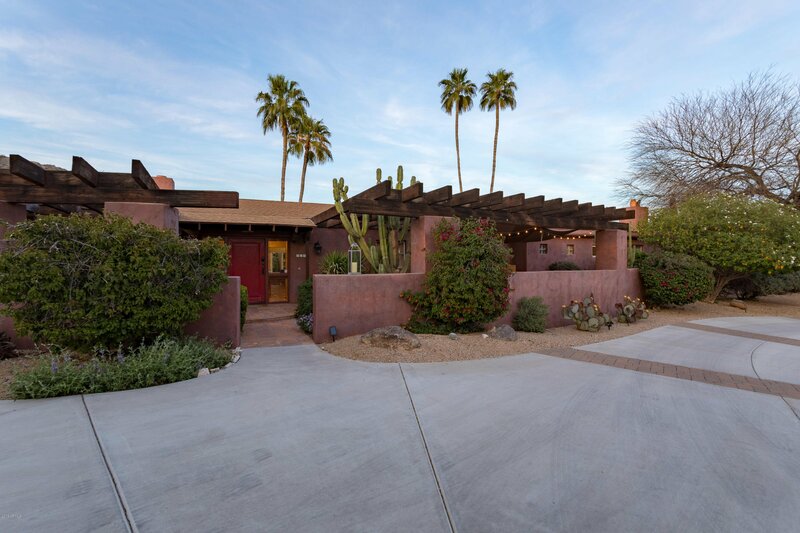 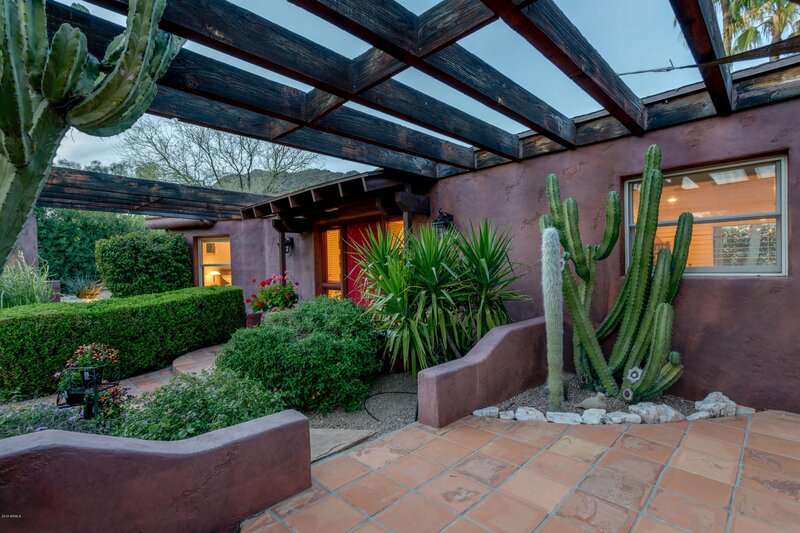 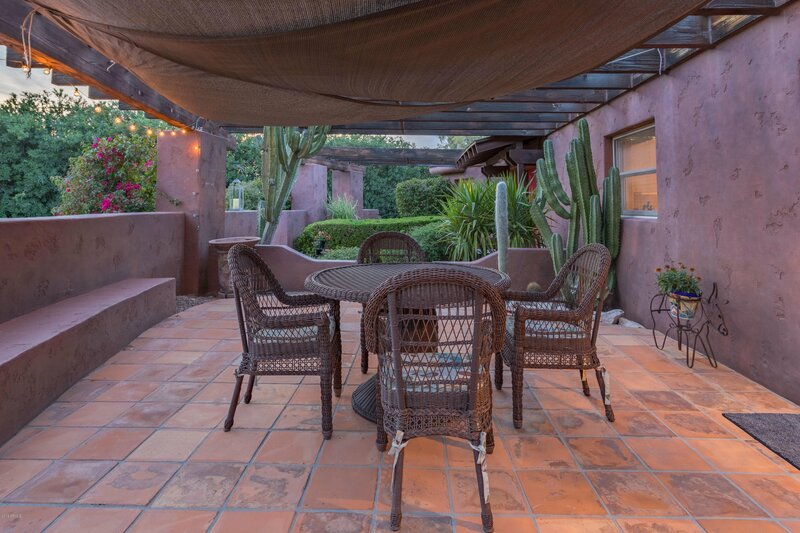 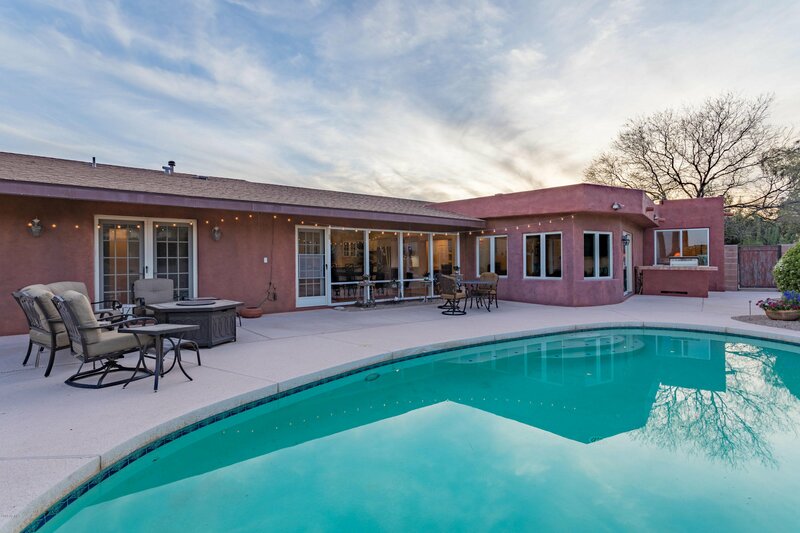 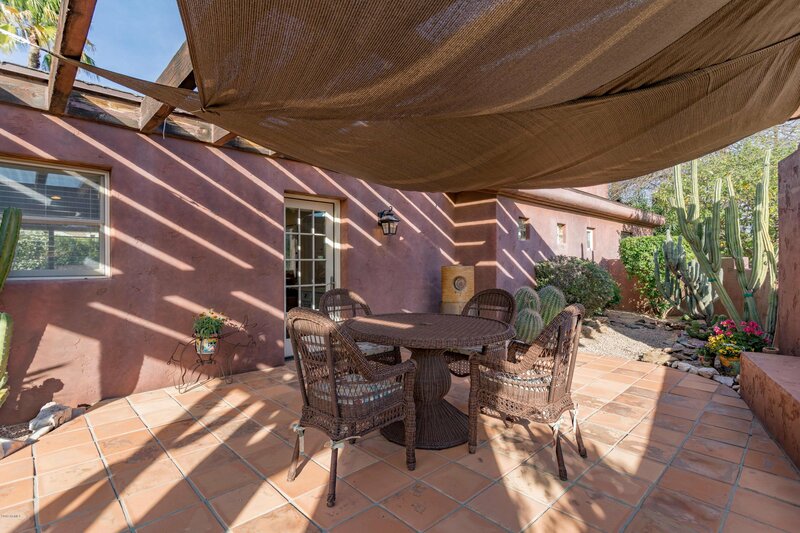 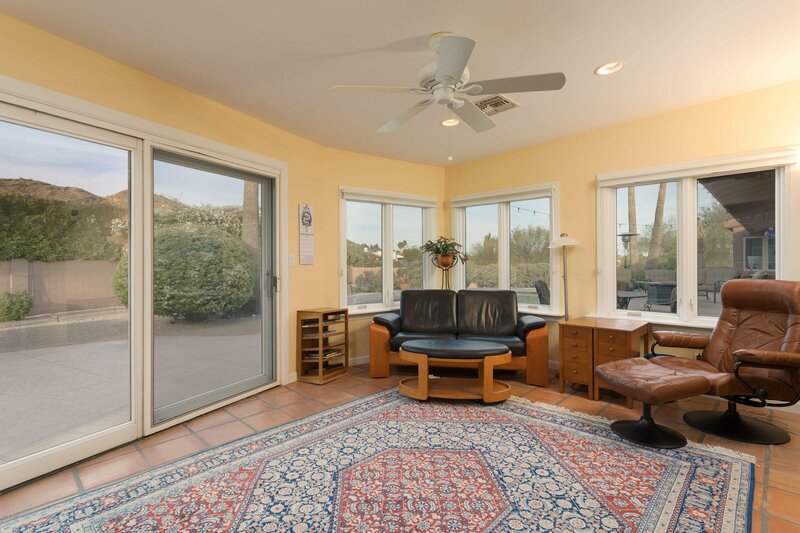 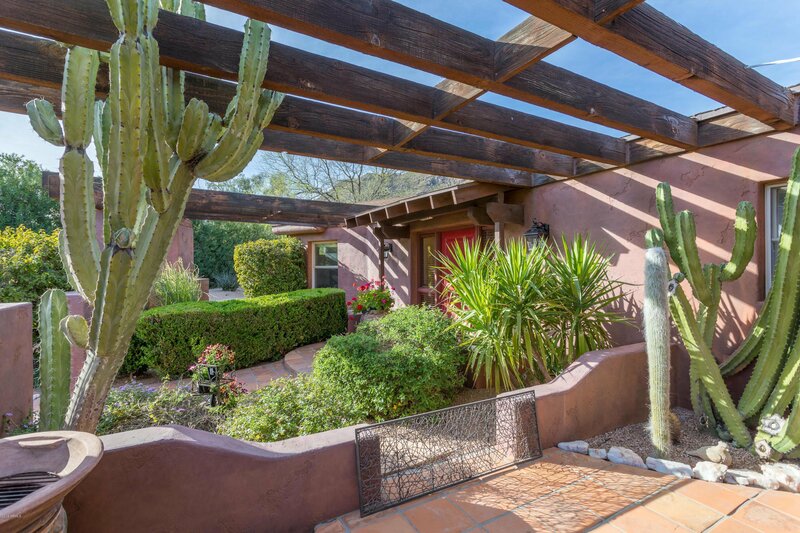 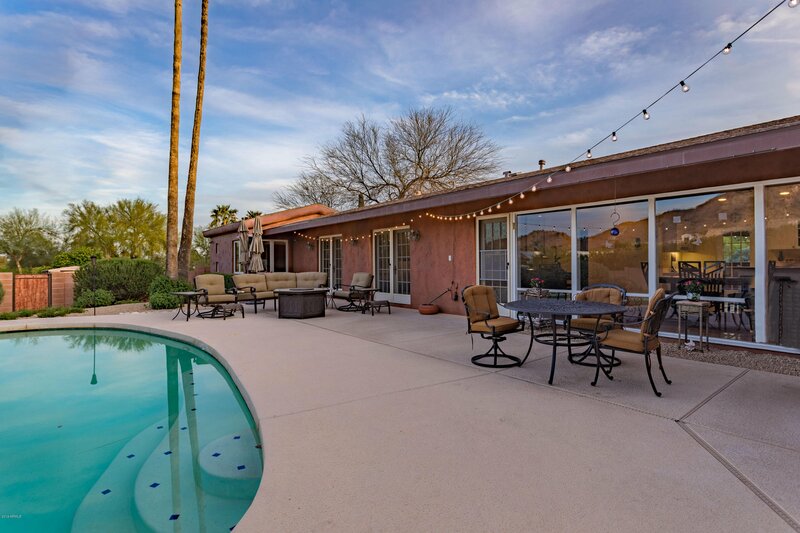 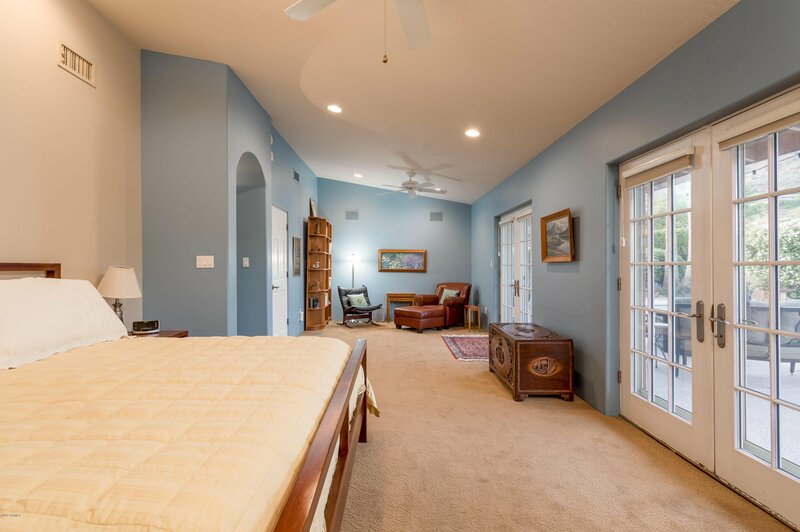 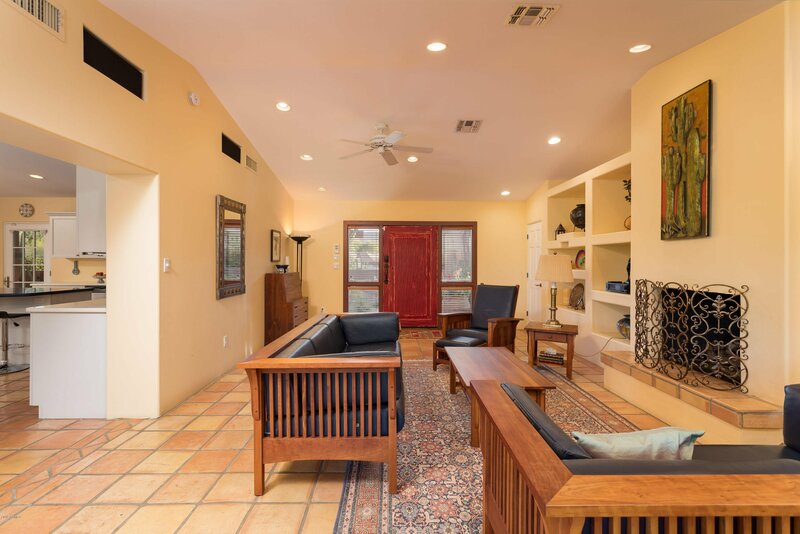 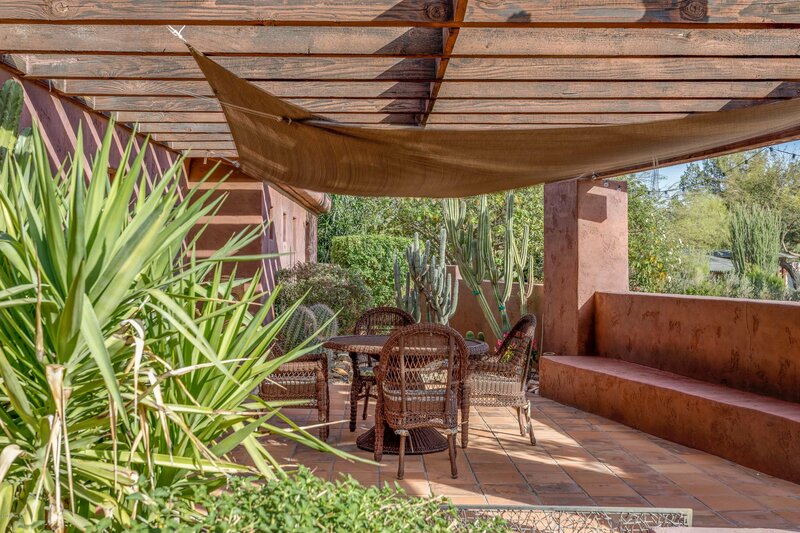 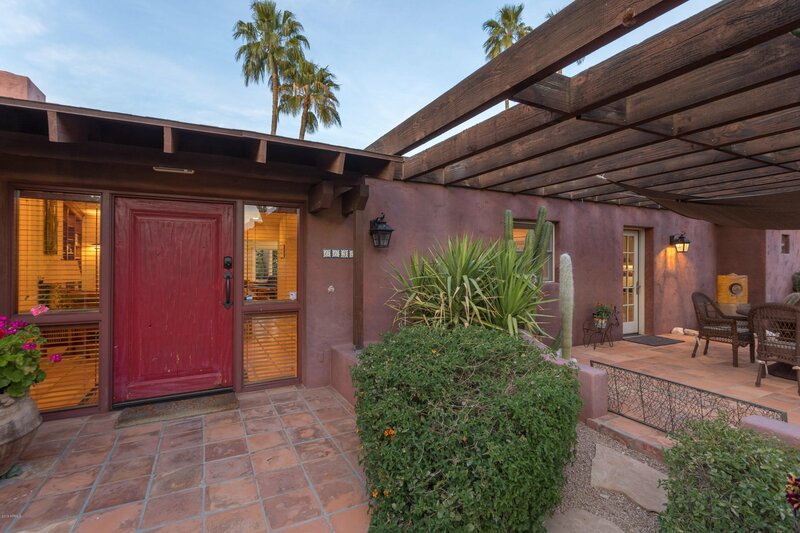 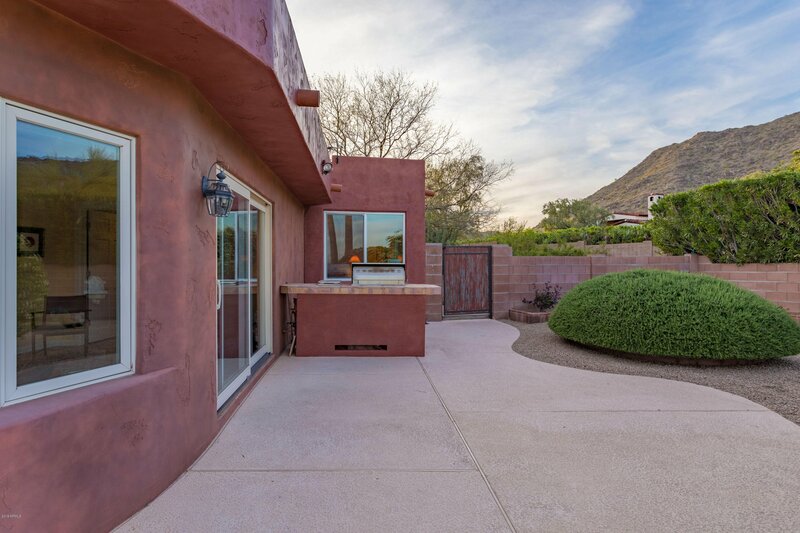 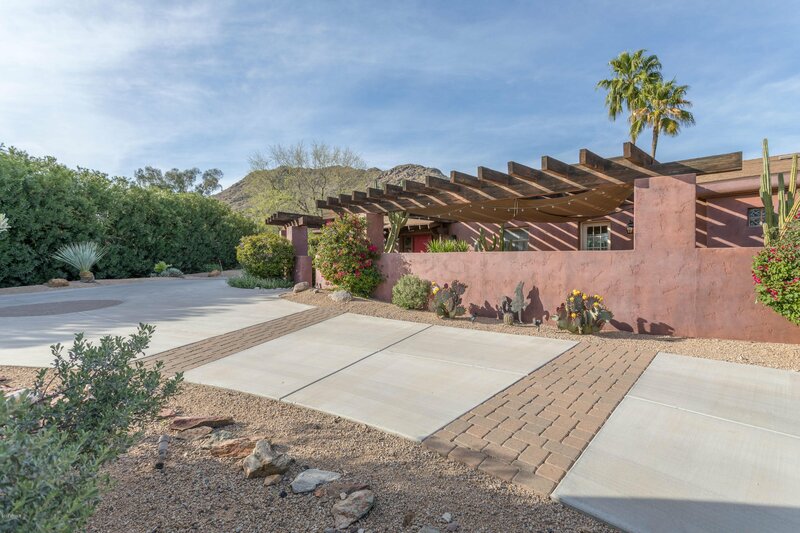 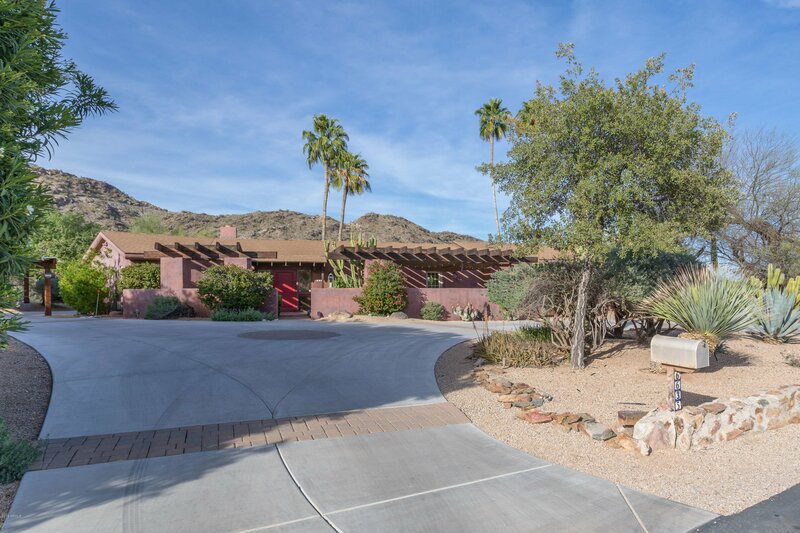 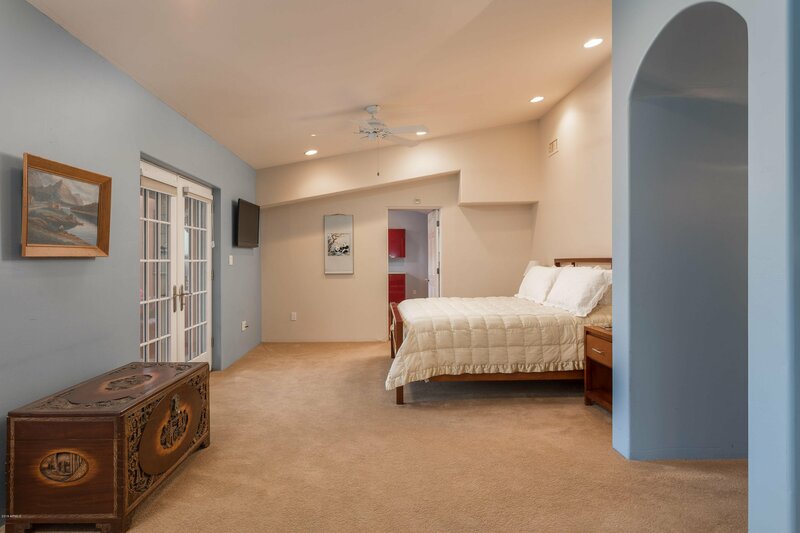 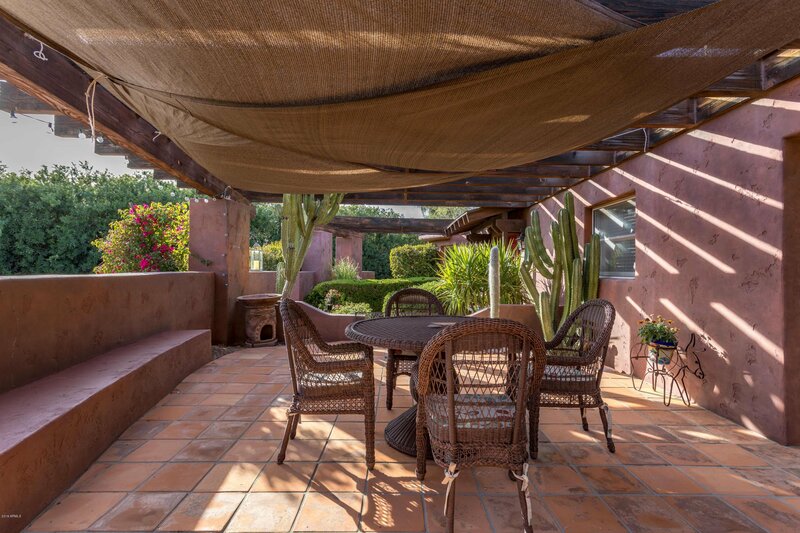 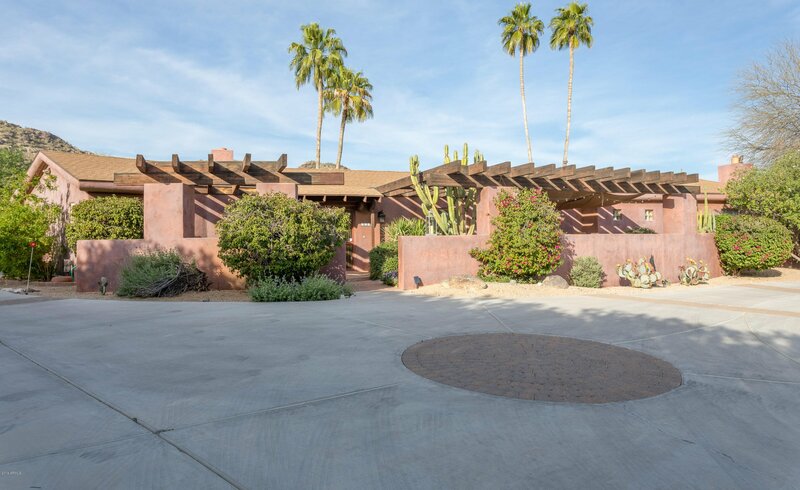 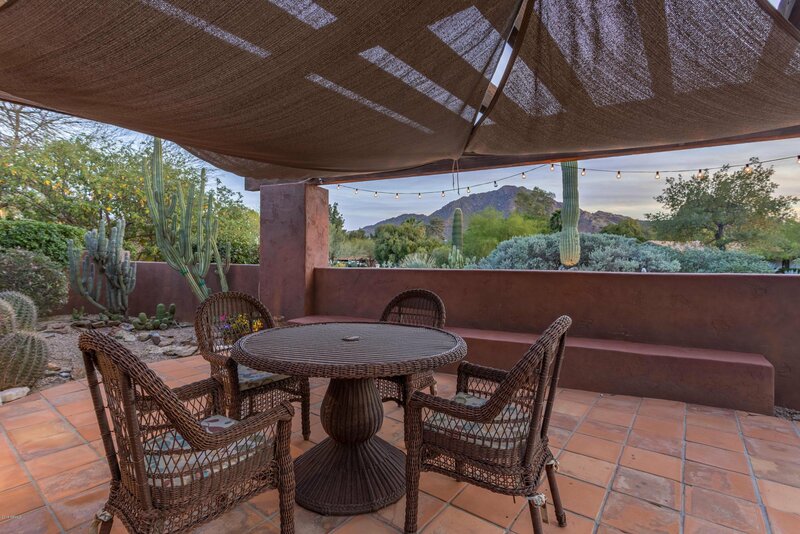 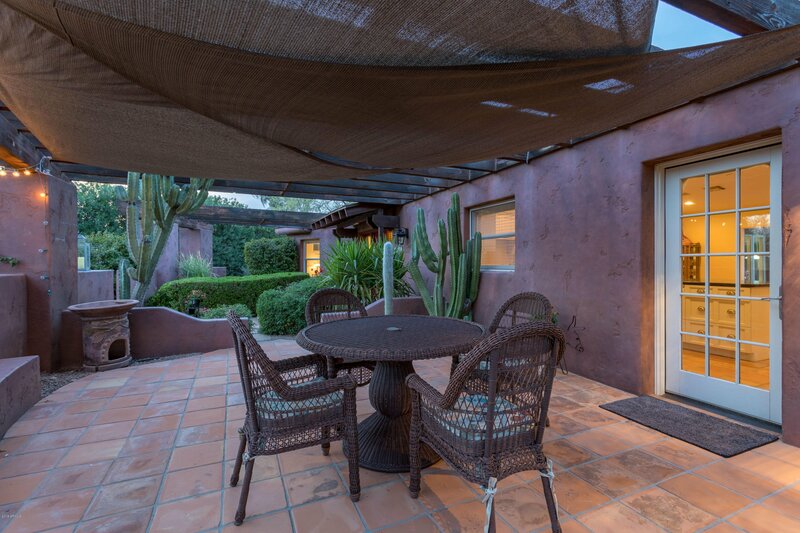 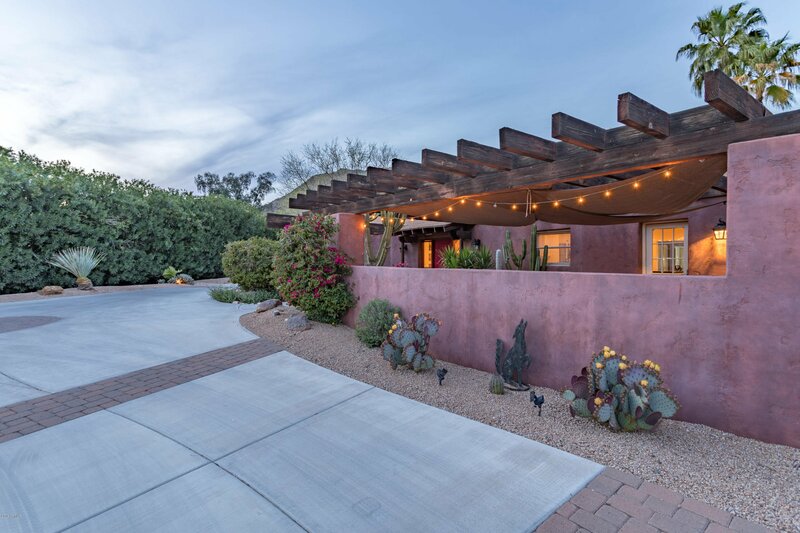 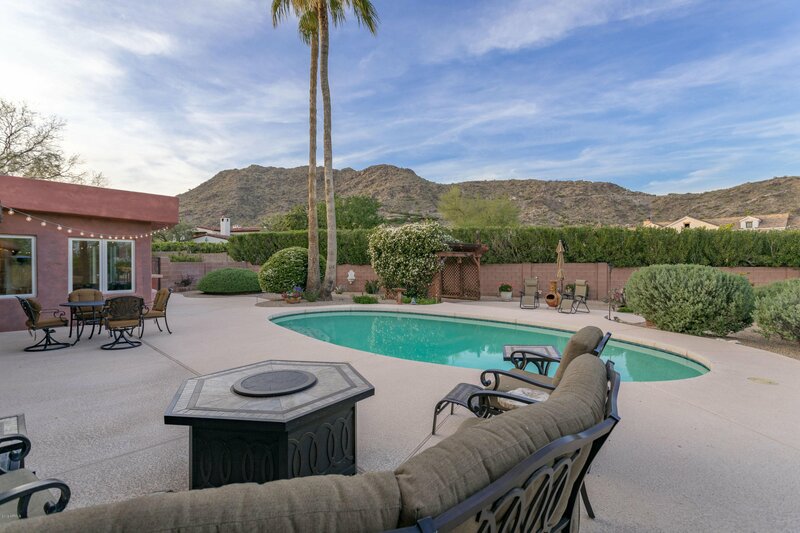 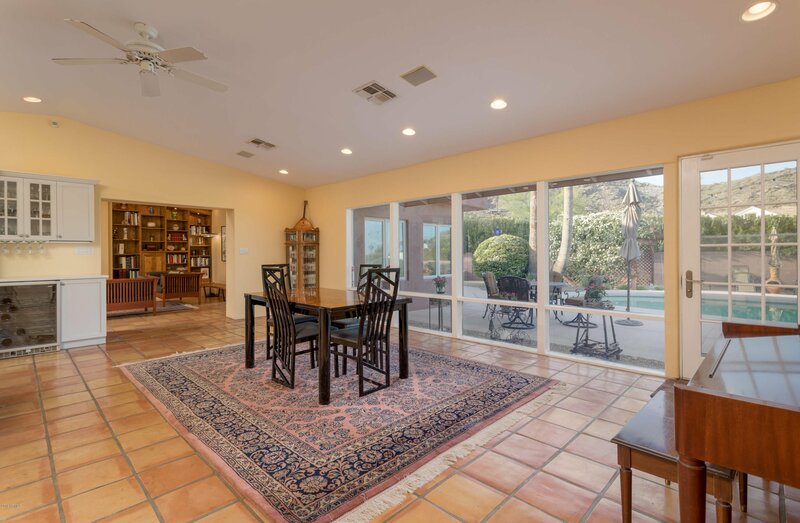 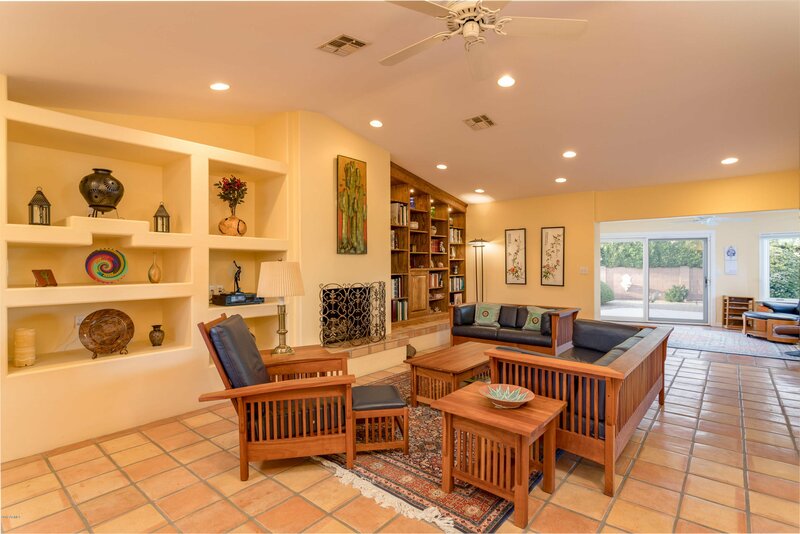 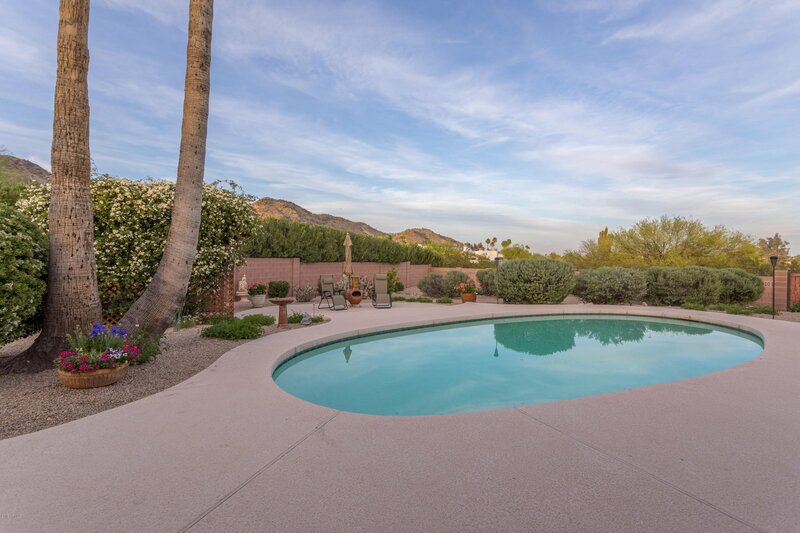 Nestled at the end of a quiet cul de sac, the north south exposure of this pueblo ranch house provides grand views of Mummy Mountain from the bedroom and the poolside patio with its rose- covered ramada, and lovely views of Camelback from the front patio. 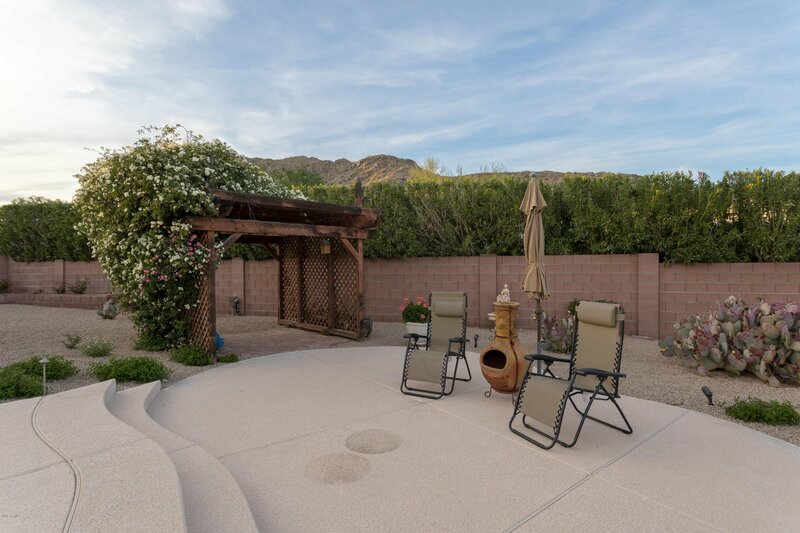 The landscaped yard is an oasis of flowers and nature in the center of of six luxury resorts, with oleander hedges for privacy. 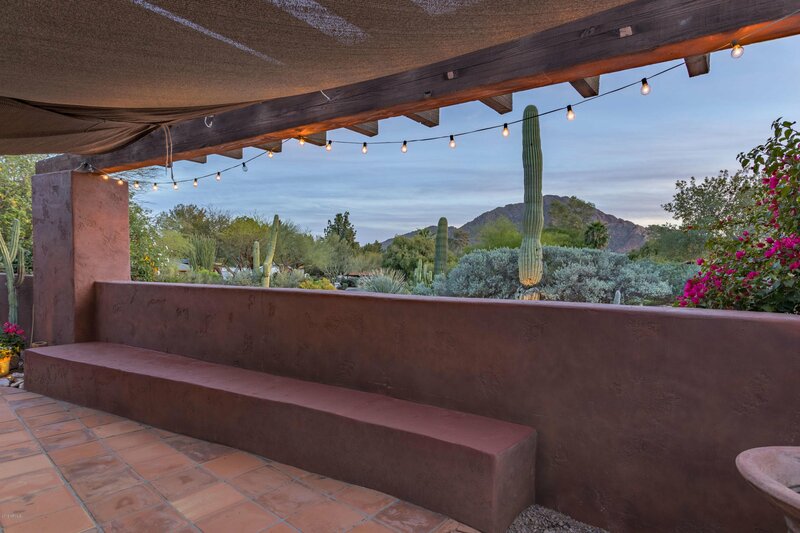 Walk to dinner at El Chorro or Mountain Shadows, or use the private gate to enter the adjacent 25 acre Franciscan Retreat Center. 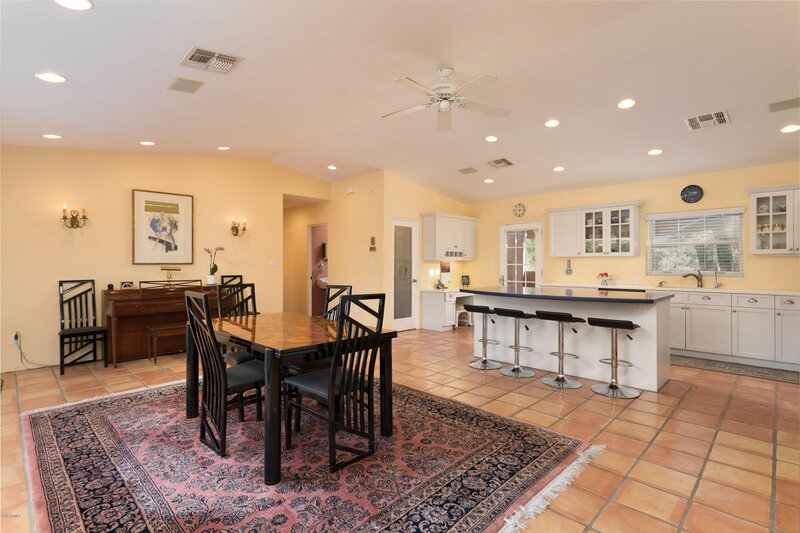 Large open kitchen/dining room with an island. 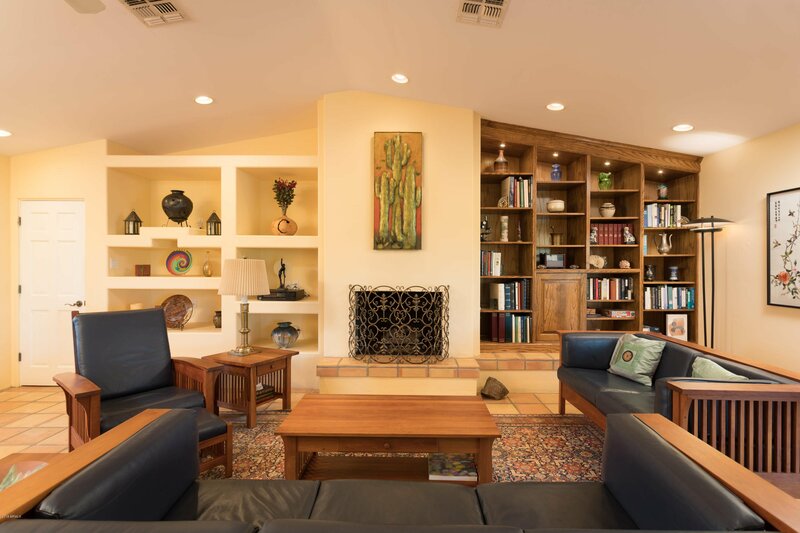 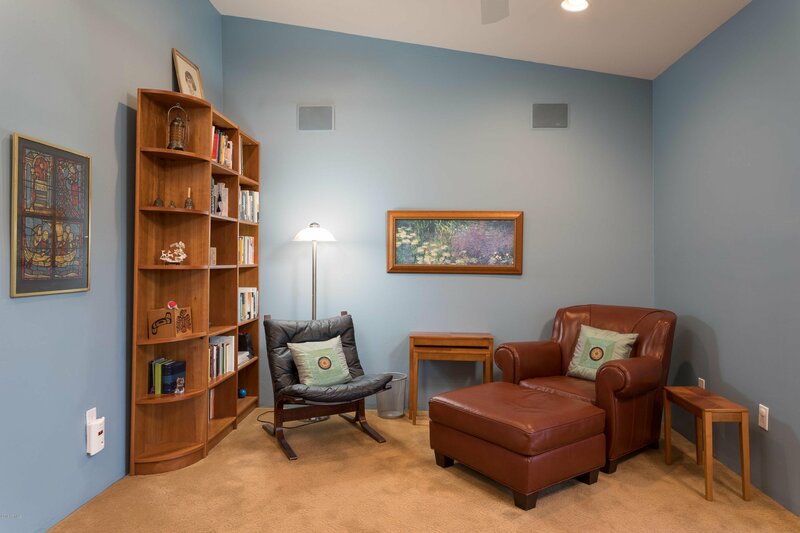 The living room has built in wood shelves, a gas fireplace & an adjacent family room. 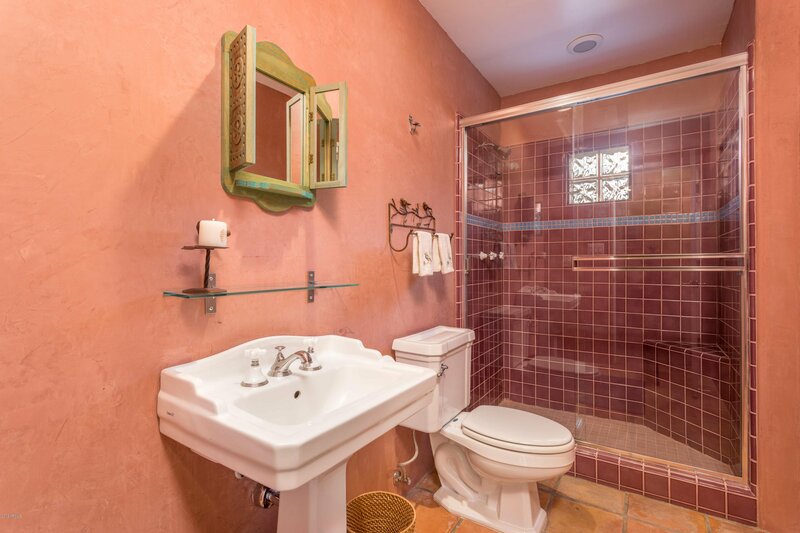 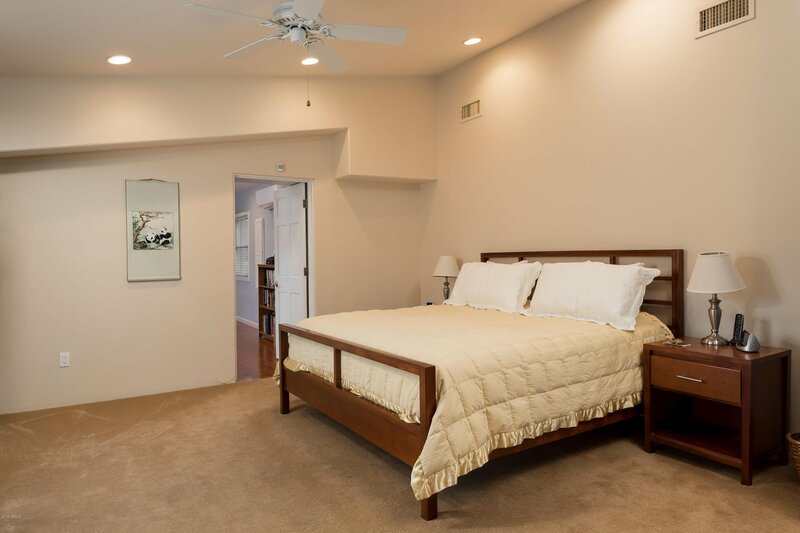 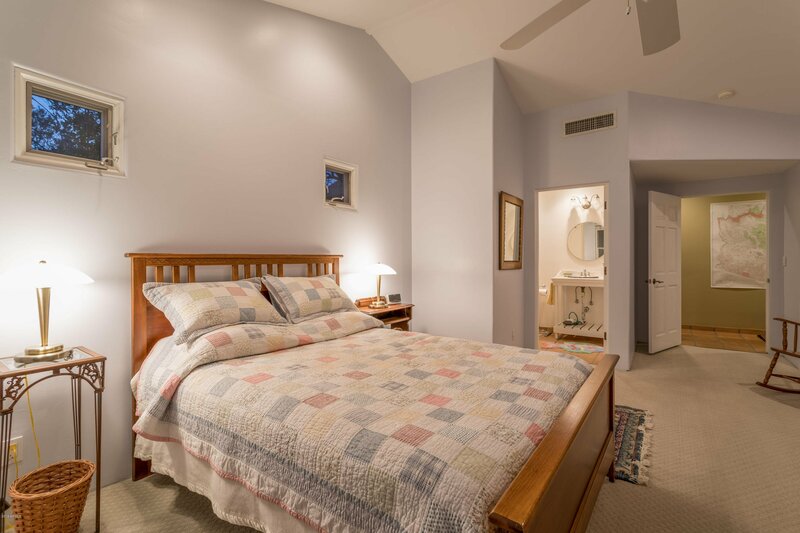 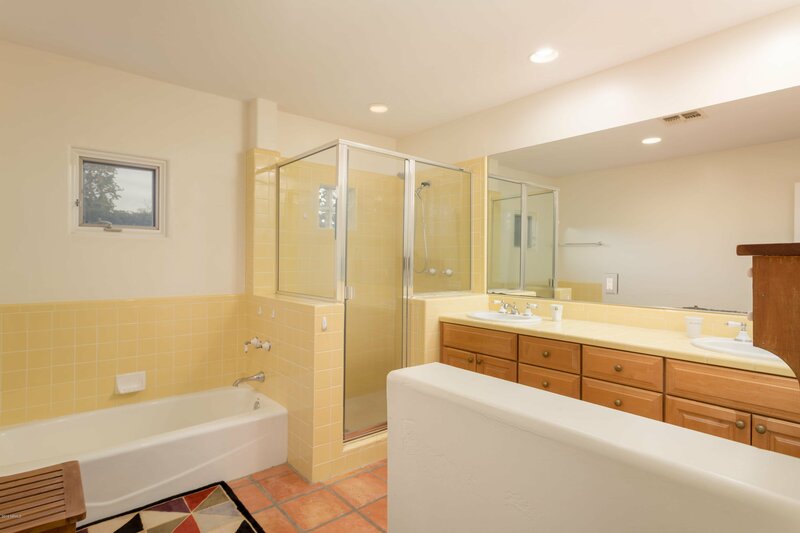 Saltillo tile throughout, except for the three carpeted bedrooms. 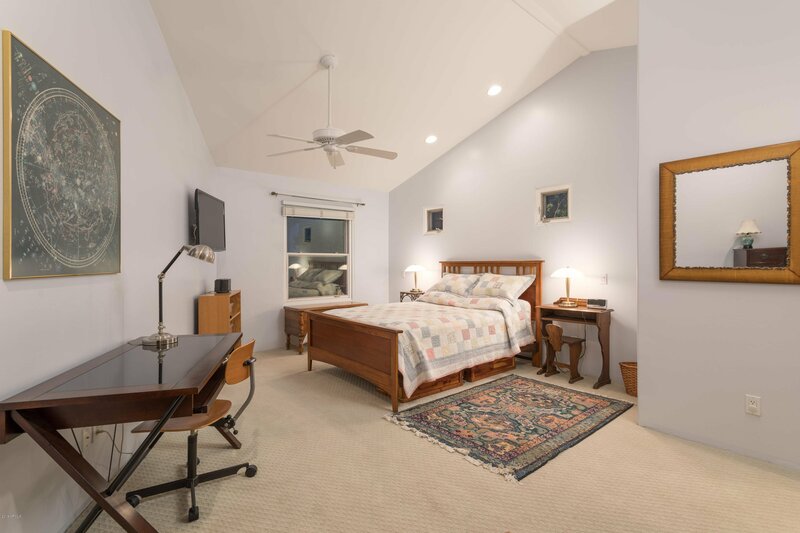 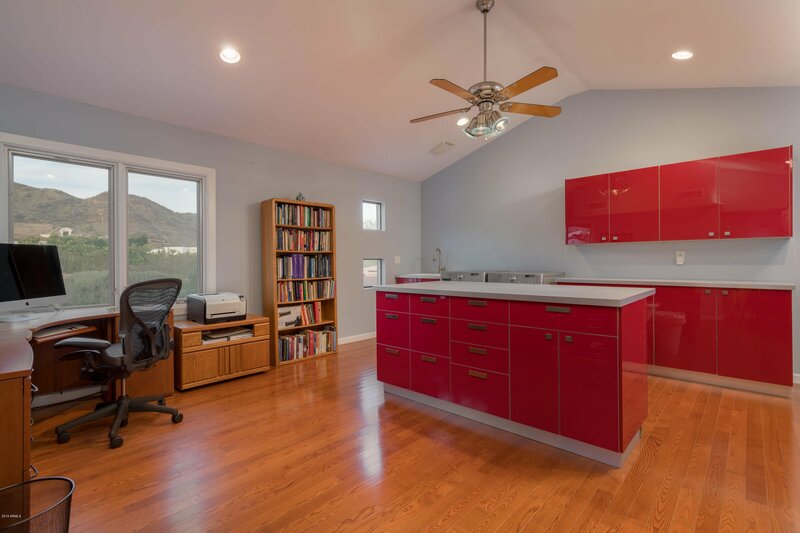 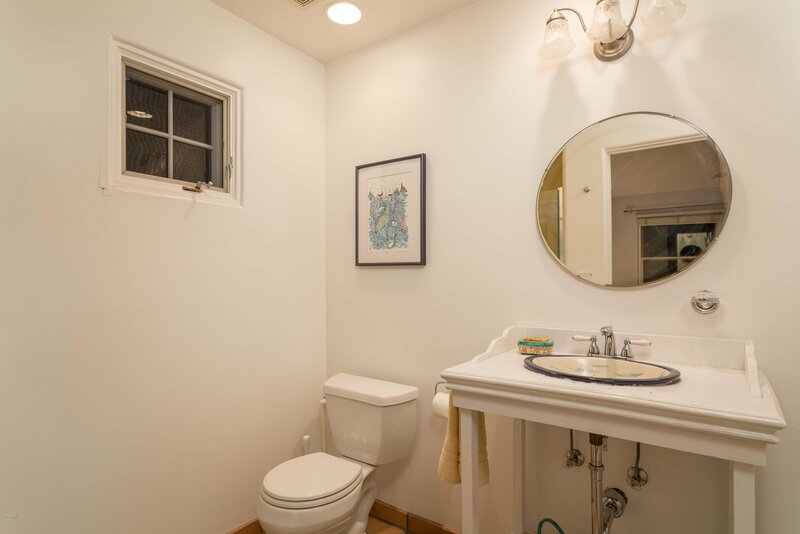 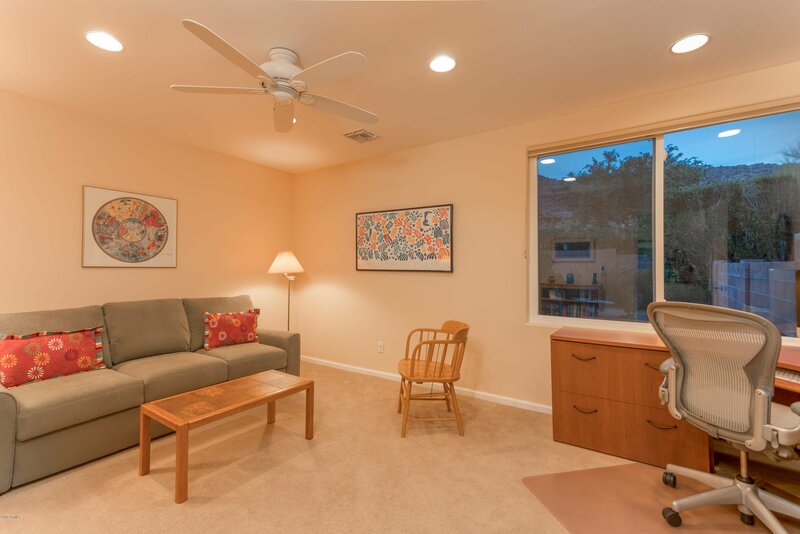 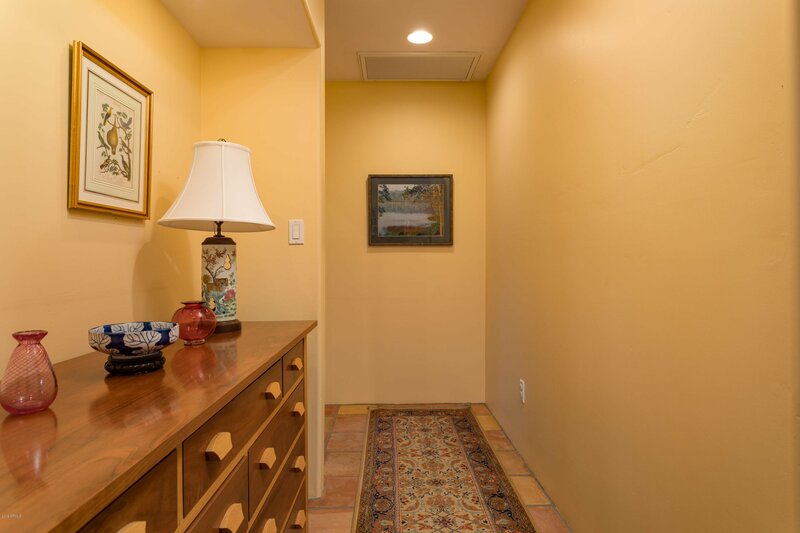 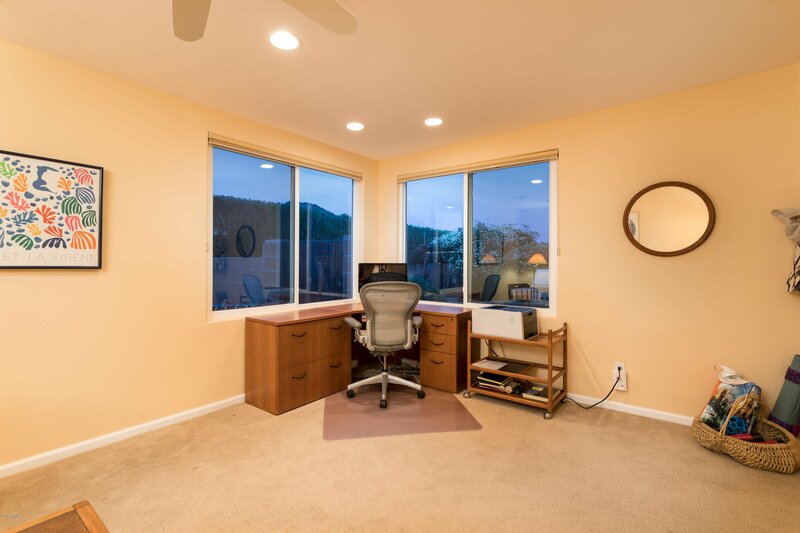 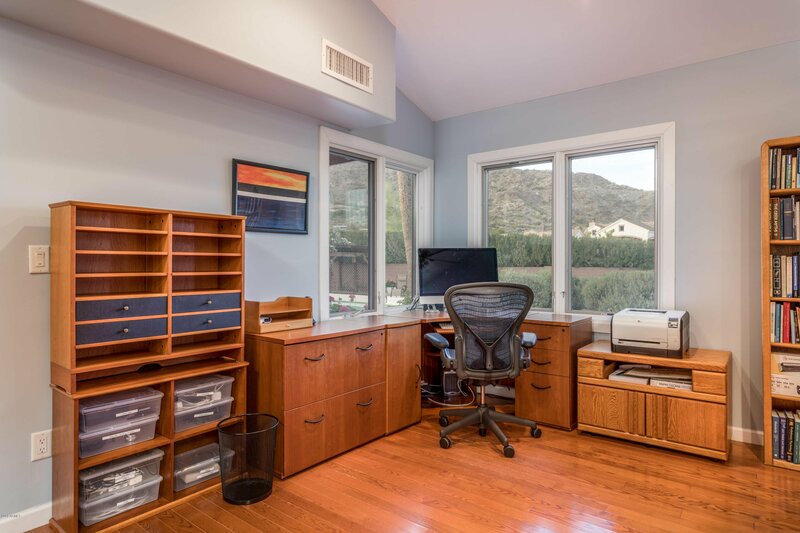 A large craft/laundry room has a desk area with mountain views through corner windows.